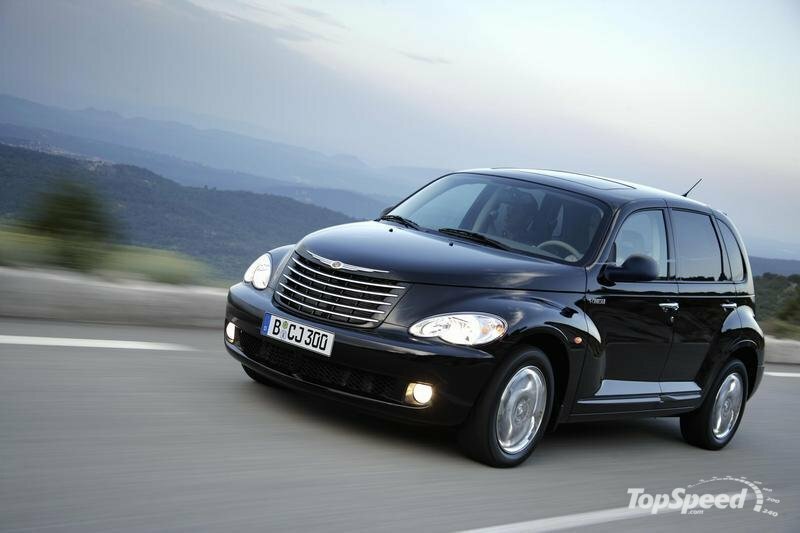 The Chrysler PT Cruiser is – or should we say, was – a car that you would never mistake for being a powerhouse. Retro-looking, sure. Snorting horsepower? Hardly. The only way you could give the PT Cruiser some street rep is to take out its four-cylinder mechanical guts and place something akin to a Dodge Viper’s powerhouse V10 in it, which, fortunately, is exactly what someone did to their beloved, little hatch. The result is a vehicle that epitomizes substance over style. 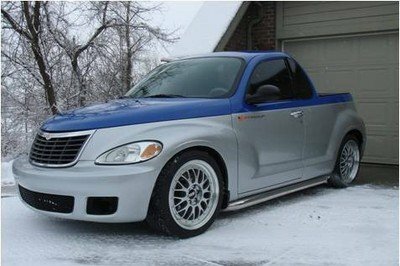 On the outside, the first thing you’ll notice is the fact that this PT Cruiser was turned into a pick-up, which is weird enough on its own considering the retro hatch’s unmistakable profile. So without the rear doors and a hatch that has since been replaced with a pick-up bed, the PT Cruiser’s new profile lends itself a curious look. That is until you pop open the hood. Where a 2.4-liter four-cylinder, naturally aspirated engine that produces 150 horsepower and 165 lb-ft of torque once resided is now an old 8.0-liter V10 engine that produces 500 horsepower to go with the Viper’s six-speed transmission, rear suspension, and steering rack. 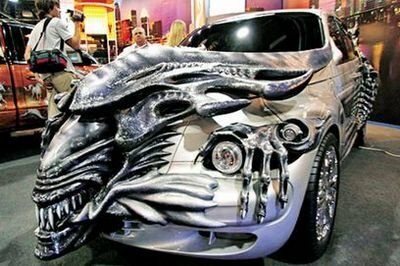 The car is said to have been built some years back, but given it’s uniqueness and downright peculiarity – not to mention the insane power under its hood – it’s still something that will catch your attention. Now is it enough to warrant a bid on eBay for more than the $13,100 price tag currently on display? We say absolutely only because something this weird with that much horsepower is bound to make anyone stand out in a crowd. 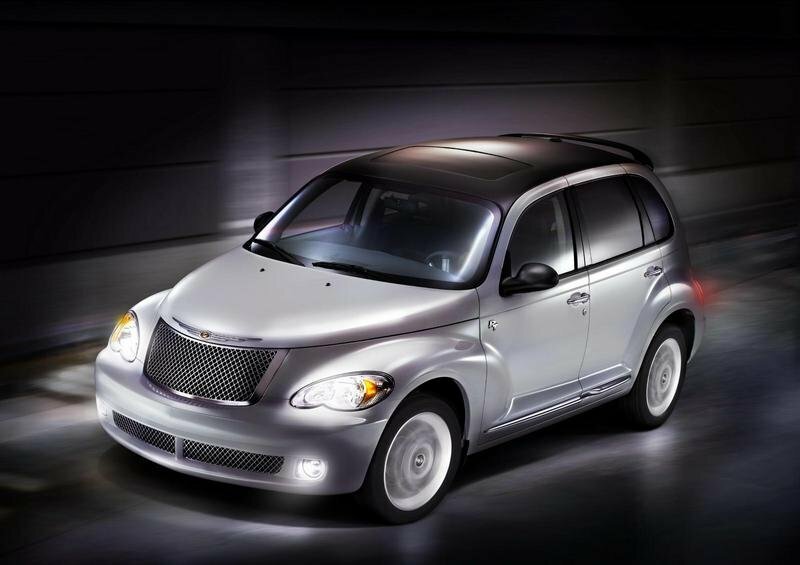 The slightly awkward Chrysler PT Cruiser is now dead and we really aren’t that sad about it. It was retro and looked fairly decent, but it was the forgotten child of the Detroit automaker. Despite decent sales, the company never gave the PT the massive overhaul it needed to compete with today’s market. 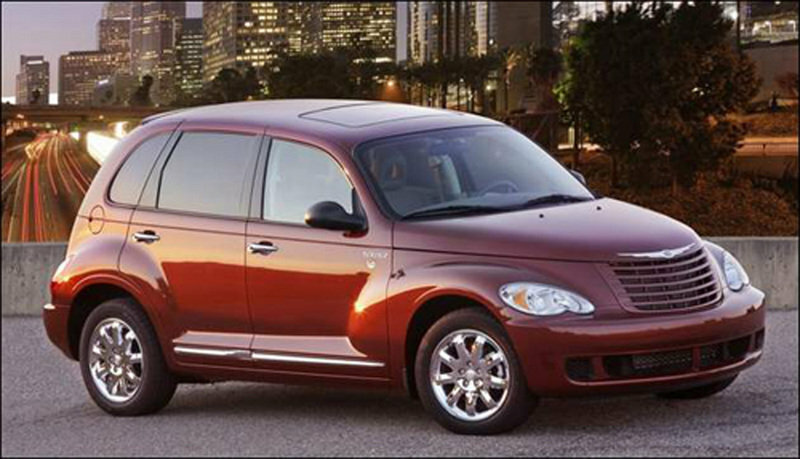 That is a massive disappointment because the PT Cruiser was a huge success when it was first launched. It went on sale in the middle of our SUV craze and it sold well beyond anything Chrysler could have imagined. "For a while, it was the best-selling Chrysler-brand vehicle," said Jim Hall, managing director of 2953 Analytics, a Birmingham consultancy. With over 1.3 million PT Cruisers sold, the company will close the doors. While the Mini and Volkswagen Beetle live on, this retro machine is bound for the history books. Yet, it wasn’t going to go quietly. The band Sha Na Na composed a song called, “The Cat in the PT Cruiser” to celebrate the car. The car that seemed to be the center of all jokes is finally reaching the end of its production run. The last Chrysler PT Cruiser will be rolling off the assembly line in less than two weeks. When it was first launched, thePT Cruiser was a brilliant little car, unique in every sort of way. The car went on sale in 2000 during the American SUV craze. The retro design, like the New Beetle, made it a massive sales success. In fact, the car sold well beyond anything Chrysler could have imagined. On July 9, the car’s last day, Chrysler will have sold over 1.3 million PT Cruisers. The PT was the first of many retro vehicles, including the Fiat 500 and Mini Cooper. The simply average base model eventually grew into a turbo GT version, a convertible and a dozen or so special editions. Despite the poor build quality and the horrendous handling, the car continued to sell well, even though Chrysler never refreshed the look or the features. "It’s plugged along and still has a loyal fan base," Hall said. Though the car is in its final days we still have so many questions. If Chrysler had actually updated and made the PT better, what would have come of it? Even if the American automaker Chrysler’s future doesn’t sound so bright, the company has just announced that the PT Cruiser will continue to be produced. The PT is being made at the Chrysler’s Toluca Mexico Facility and will continue to be built there. 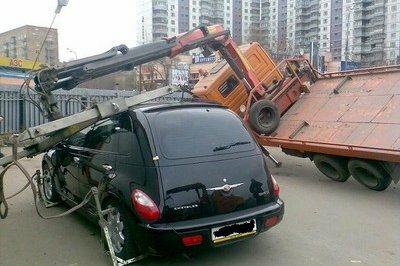 Only in Russia... Tow truck cannot lift a PT cruiser! In Russia everything is possible! For proof, look at this massive tow truck, flipped over while trying to lift a Chrysler PT Cruiser! We don’t know if the PT Cruiser had some James Bond anti-theft device, squid suction tires or simply if the truck was made of plywood but the PT did not want to leave its parking spot. The Score is: PT Cruiser 1, Tow truck 1.. it’s a draw ! Word was out a week or so ago that Chrysler LLC was killing the PT Cruiser convertible. But, according to the Wall Street Journal, the Home Depot cost cutter brought in to make Chrysler the end of Cerberus’ rainbow has now decided to can the entire PT Cruiser line-up. It will die at the end of the 2009 model year. As a movie, “Sunset Boulevard” was the comeback vehicle for actress Gloria Swanson. In the movie, she played a faded star who dreamed of a comeback, but was actually living in a fantasy world of her own creation, a semblance of what it had been when she was truly great. 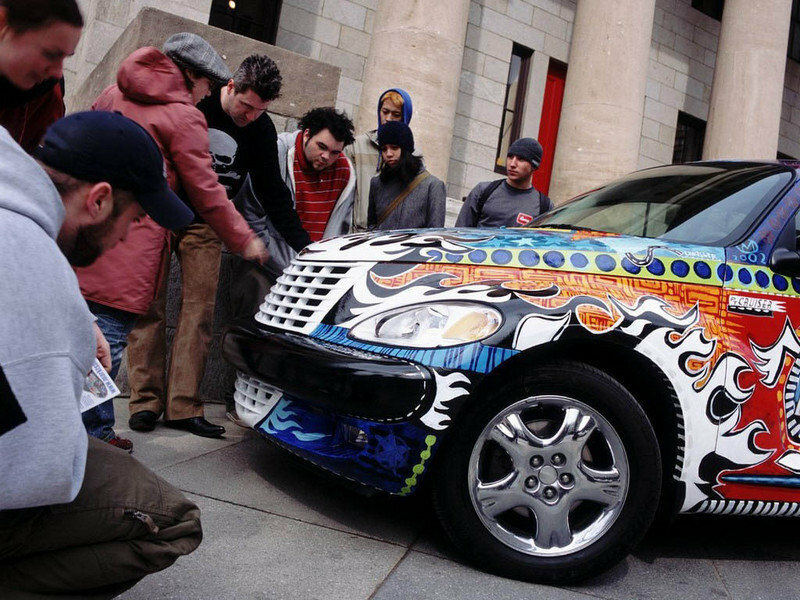 Into this comes the Sunset Boulevard Edition of the Chrysler PT Cruiser, a limited edition of only 500 vehicles ostensibly commemorating the Woodward Dream Cruise. This is the “new” Chrysler? Chrysler kicks off the annual Woodward Dream Cruise today, making a huge splash with the introduction of the new 2007 Chrysler PT Street Cruiser Pacific Coast Highway Edition-a special-edition PT Cruiser dedicated to one of the most picturesque driving routes in the United States, the Pacific Coast Highway. 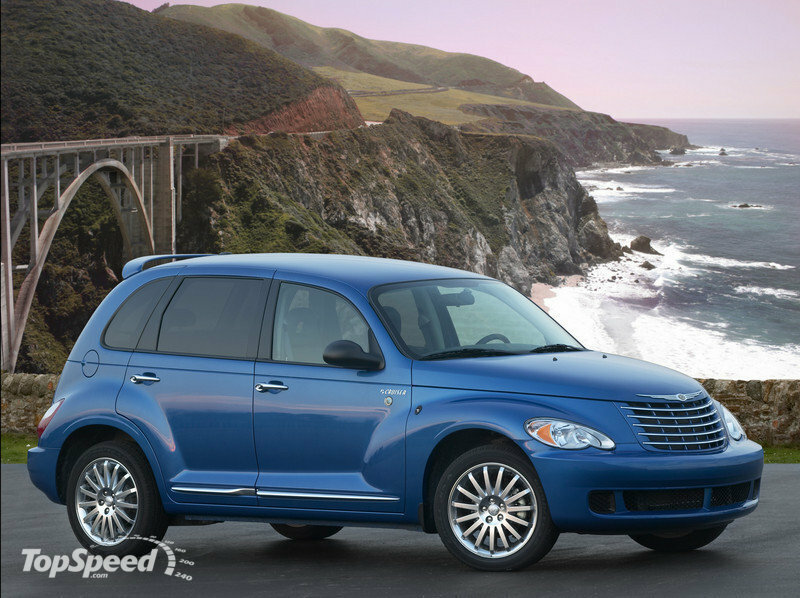 Announced in conjunction with Detroit’s famed Woodward Dream Cruise, the Pacific Coast Highway Edition will be available later this summer as a limited-production version of the 2007 Chrysler PT Cruiser. 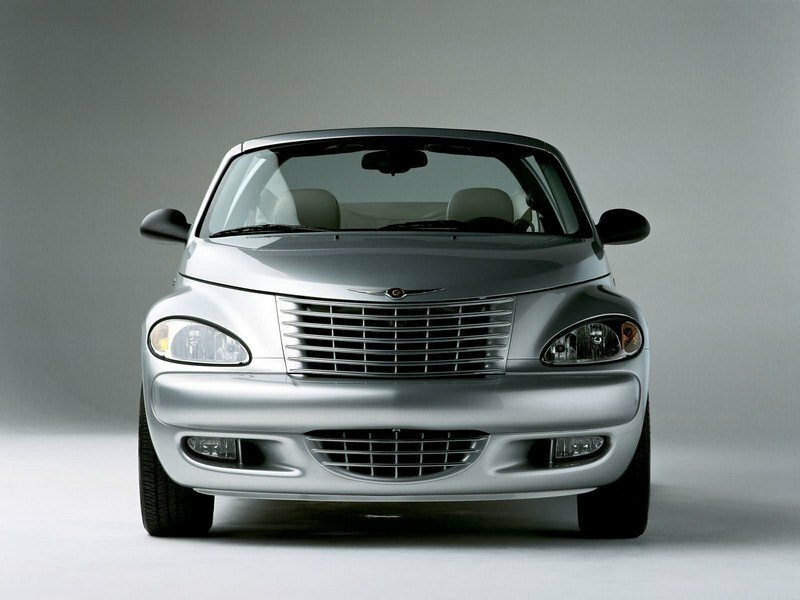 The 2006 Chrysler PT Cruiser Convertible comes with a light face-lift to consolidate its position in the heart of the convertible segment. With a less conventional body and unprecedented room and comfort for this class, the PT can appeal to those who may not have been interested in a convertible before. The 2006 Chrysler PT Cruiser is powered by a standard 2.4-liter naturally aspirated engine that produces 150 horsepower and 165 lb-ft of torque. The engine is coupled with a manual transaxle.